I’m oddly obsessed with elephants (I might or might not have a board dedicated to them on Pinterest.) When I came across Drunk Elephant skincare line, I mean. It was a given. 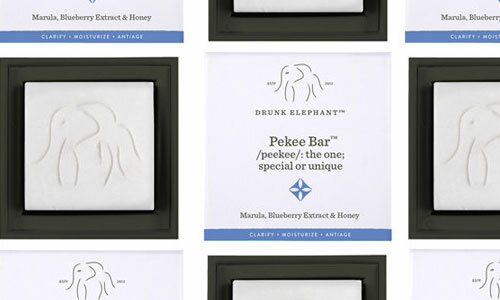 I’ve recently adopted the Pekee Bar as my new AM face cleanser. It is made with blueberry extract, honey, aloe vera and virgin marula oil. Sounds delicious doesn’t it? The bar is very gentle, and there is an elephant engraved into the top. So along with being an effective cleanser, it just makes me happy. All products support the International Elephant Foundation - cult products for a terrific cause, fellow elephant aficionados.